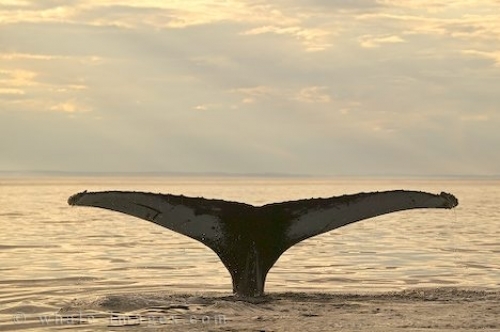 A peaceful sight to see, a whale tail in the middle of the great big sea. A trickle of water leaking from each fluke lobe and hardly a stir in the place where this humpback whale dove. As the light begins to dim after sunset it is a reassuring sight to see a marine mammal surface like a beckon in the great big sea, directing you in the direction of land.